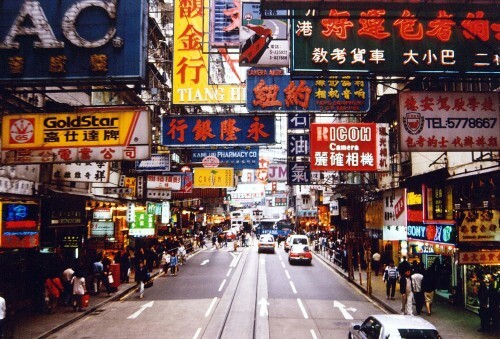 Cheap flights to Hong Kong: only €321! SriLankan offers also cheap flights to Hong Kong besides Sri Lanka! 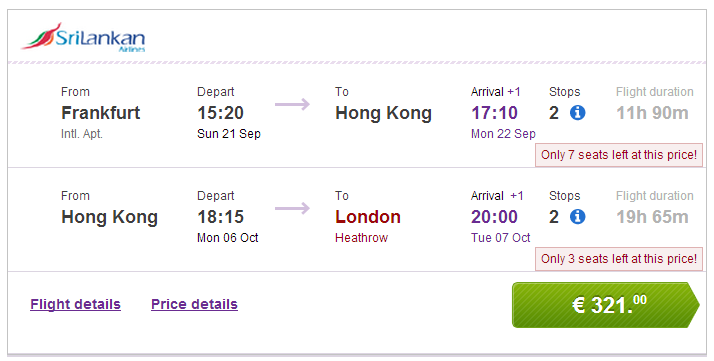 Multicity tickets Frankfurt – Hong Kong – London are available for only €321 and up! Travel dates are in September and October 2014. Ryanair flies from London to Frankfurt Hahn from €30. Book via BudgetAir to get this price (click on Show extra search options to enter return to London). Hong Kong offers wide range of accommodation for moderate prices. You can get the cheapest hotels from 30€ for a double room. « Visit paradise: Cheap flights to Seychelles for €489!